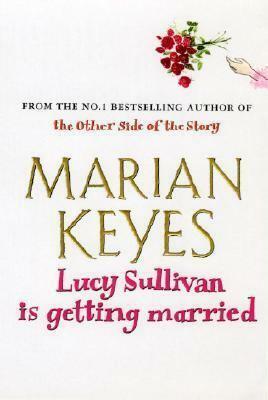 I have been a big fan of Marian Keyes since I read her ‘ Anybody Out There’. ‘Lucy Sullivan is getting married’ is a regular chick-lit with all the elements in place. Lucy Sullivan works in a boring office, in London. Her work mates persuade her to come with them to see a psychic. Lucy goes, despite being bankrupt and having no faith in fortune tellers. The psychic tells her that she sees marriage for her in the not too far off future, with someone who is not ‘her type’. Lucy does not believe in it, although her work mates do let the whole world know that ‘Lucy Sullivan’ is getting married. Lucy, manages to get all that under control but starts to wonder if the psychic was indeed telling the truth when she finds that some of her work mates’ fortunes were indeed coming true. Lucy has the worst choice in boyfriends. Irresponsible characters, working in music or such like, who she is most likely to be paying for and looking after, during the span of the relationship and most of them Irish. She also has a best friend Daniel, who every girl in town, drools after, but she is totally immune to, he is too responsible, holds down a good job, to be her type. Daniel is her best friend who listens to her when she needs someone to listen to and steps in as a date, when she is date-less and she is the same for him. She also has issues with her mother who she believes is very hard on her father. Lucy going on with her life, with her inappropriate boyfriends and her crazy girlfriends and roommates, is very funny read. One day her mother leaves her father, and Lucy goes over to look after him. That in effect changes a lot for her. She realizes a few home-truths and sees the facts that had been staring at her, but she had previously chosen to ignore. So does Lucy Sullivan get married, after all? Well, you have to read it to find out, but I assure you, if you do like a good, light-hearted chick-lit, you will love this one. I laughed my heart out reading it. It was a real fun, light read. I read such books every once in a while to chuckle away and laugh with abandon. I would give it a three on five, because despite being a regular chick-lit, the story being quite predictable, it was still a very enjoyable read. As I have mentioned before, I have developed a taste for books related to the Indian Subcontinent. I grabbed this book, based on the synopsis at the back and the fact that it was a book by a Pakistani author – a first for me. 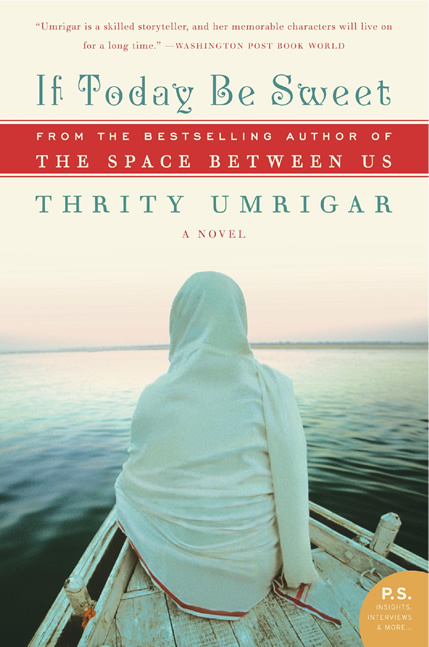 Based in the Pakistan of 1971, with the backdrop of the civil war within Pakistan and the war with India, it is a touching story of a friendship between two girls. Laila is the eight year-old daughter of Fareeda and Tariq Aseem. They live in the little village of Sabzbagh. Tariq’s mother lives in a neighbouring village of Kalanpur. Laila and her elder sister Sara live in Lahore during term time and are home with their parents during the holidays, as they attend a convent school in Lahore. At the time the story starts, Laila is at home recovering from typhoid. Sara is at school. Laila is delighted that she can have Rani, her paternal grandmother’s servant’s granddaughter all to herself. Rani is older than Laila and when Sara is around Laila is the odd one out. Living in a world of her own, created by her imagination, aided by all the Enid Blytons that she reads, all she wants is to solve mysteries and have a dog. Rani, on the other hand is older, being a teenager, she is more interested in Heer, Ranjha and romantic movies and hopes to meet her own Ranjha some time. The adults are all worried about the impending war with India. Most of them are aghast at the idea that their beloved nation is breaking up into two. Only Laila’s dad, Tariq, wonders if it had been one nation – ever? Amidst all this, Rani falls in love with someone, and end up pregnant. Laila understood that something was wrong, but was too young to understand much. All she wanted was to help, to be part of Rani’s team. In her zest and enthusiasm to help, she sets off in motion, something totally different. The relationship between the two girls is portrayed beautifully. Laila’s innocence, teamed with Rani’s child-woman feelings, the various undercurrents of society. Each character, I felt was very well etched out. Be it Fareeda, Tariq, or Sister Clementine. Each character’s compulsions and reactions, like how Fareeda reacts when Sister Clementine tries to tell her about Rani’s situation. It was a wonderful read. I found the story fascinating. 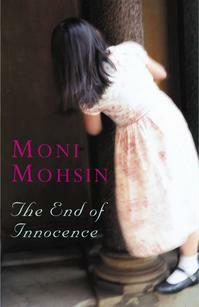 The situations beautifully depicted, and the child’s mind portrayed so very well. I would give it a 4/5. 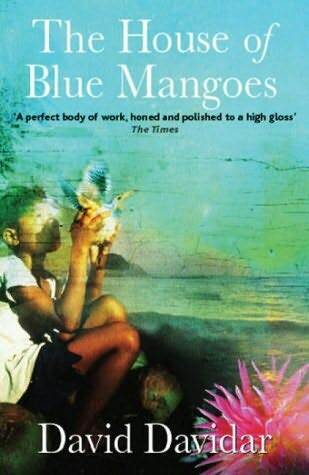 The House of Blue Mangoes is a story spanning three generations of a non-Brahmin Christian family in Tamilnadu. It follows the story of the family while mirroring the developments in society at that time. India’s own freedom struggle from the British, is happening at the same time. Solomon Dorai is the head of a village Chethavar in what used to be Madras Constituency in Pre-independence India. He was very particular about maintaining peace between the various powerful castes. He prided himself with the fact that Chethavar had not seen the nasty caste-based clashes which were so common around them. The peace which had been maintained for long is threatened and broken in a caste based clash, which results in Solomon’s death and Solomon’s elder, studious son Daniel, his wife Charity and daughter moving to Charity’s hometown. Solomon’s younger son Aaron stays on in Chethavar. Solomon had always been a little disappointed with his elder son who was more interested in his books and learning that the so-called manly interests like fighting and sports. Aaron on the other hand had always been sporty and also looked down on his gentle elder brother. Aaron feels detached from his family and goes on to get involved in the Freedom struggle. Daniel goes to become a doctor and even markets a fairness potion that becomes very popular. Slowly, Daniel is pulled back to his birth village. He realizes that his destiny is entwined with his village. He goes on to build a house surrounded by the famous blue mango trees that are a specialty of Chethavar and builds up a community, which he heads. The local legend has it that the blue mangoes are the best in the world. His life and times and his son Kannan’s life with the new opportunities and new temptations take on a different aspect. The values that Daniel cherishes are not exactly high priority for Kannan. The story that spans three generations, Solomon, Daniel and Kannan, is captivating and has a charm of its own. The backdrop of India’s freedom struggle and the equation between the last Britishers who are on their way out is fascinating. The prejudices and the distrust that seem to exist on both sides of the divide is very beautifully brought out. Alongside this, Davidar does a beautiful job of chronicling the lives of women at that time. When a man hitting a woman for bringing him coffee, that was not the right temperature was justified. Be it, Charity, or her daughter’s lot, or her daughter-in-law’s life.. A portrait of society where a woman’s role was primarily to ensure that her husband’s life is enhanced, even if her own is endangered. It was an enjoyable read. It gave me a lot of insight to the lives of people at that point in time. The belief system, the caste divides, the politics of caste and religion and the bigger question of India’s independence all part of the same book. It did make me wish that there were more women who made a real difference in the book, but then again, it might just have been a reflection of times. It would interest anybody who likes historical fiction, even it is not very old history. I would give it a 3.5 on five.